THIS BLOG HAS BEEN SPONSORED BY NATURE’S BOUNTY® EARTHLY ELEMENTS™. Please note that Nature’s provided free product and compensation to assist in the review. Regardless, all opinions expressed are still 100% my own. DIY skin care products using all natural ingredients can be an easy and fun project. The end result can vary so much in how beneficial and healthy (or harmful) it is to your skin. Choosing the right base or key ingredients makes all the difference, then you’re off to the races and having fun. Deciding on those ingredients can be tough, so it’s good to look at who’s making them. I stand behind certain companies 100% and as you know NATURE’S BOUNTY® is one of them. Their research and dedication to quality is unparalleled. I found that using NATURE’S BOUNTY® EARTHLY ELEMENTS™, their 100% pure and blended aromatherapy essential oils not only made my skin smell amazing, but actually have benefits to the skin and body. For me, a scent is worth a thousand words. I’ve always been drawn to a good smell, anything from food, essential oils to flowers. When something has a powerful and positive aroma it can transform one’s mood, or take a person to another place. Far too many products have very unnatural scents these days. It just doesn’t make sense with all of the amazing natural scents out there. Take a walk in a garden, go on a mountain hike or visit a flower field and your nose will be in paradise. I am constantly on the lookout for products that use these same ingredients, the ones that make the natural world around us smell so amazing. NATURE’S BOUNTY® EARTHLY ELEMENTS™ uses my favorite natural ingredients for their true scents, not some unhealthy chemical trying to mimic the smell. As a blogger, I work most of the time from home and found that I can’t live without: fresh flowers and aromatherapy/essential oils. I pick up a bouquet of flowers from my local farmer’s market about two or three times a week and use a diffuser with my favorite Lavender oil or Peppermint for relaxing effects to reduce stress, and to purify and stimulate my mind. The same essential oils can also be applied to the skin with benefits that go well beyond a pleasant smell. NATURE’S BOUNTY® EARTHLY ELEMENTS™ have different oils that each have their own blends with different benefits. The thrive blend has purifying botanical elements that have been used for centuries. Their lemongrass has citrus undertones that bring tranquility. 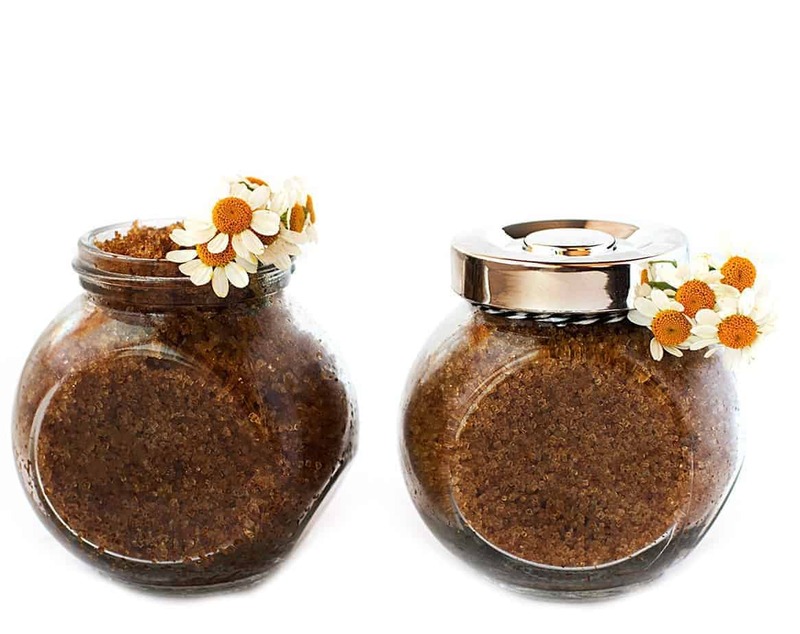 Chamomile is sweet and soothing, while Eucalyptus is having an inviting, woody scent. There are many other oils to choose from, and I’ve enjoyed mixing two or three together to create my own unique scent. Each is vegetarian and vegan which is extremely important to many of us. You can purchase these spa-like products right at Walmart stores, how awesome is that! Today, I am going to share a couple of my favorite DIY skin care products. 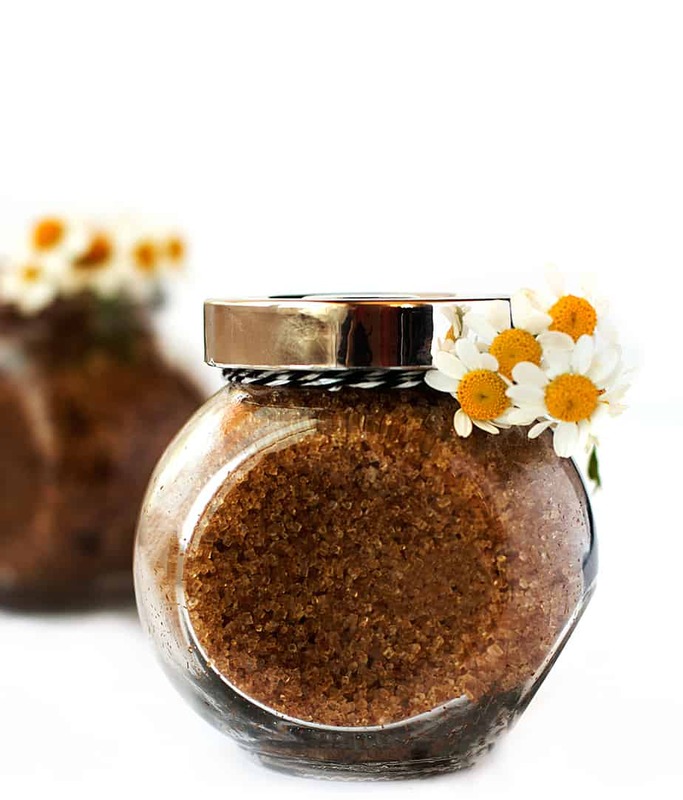 They are made of purely of natural ingredients, are easy to make and work absolute magic on the skin! 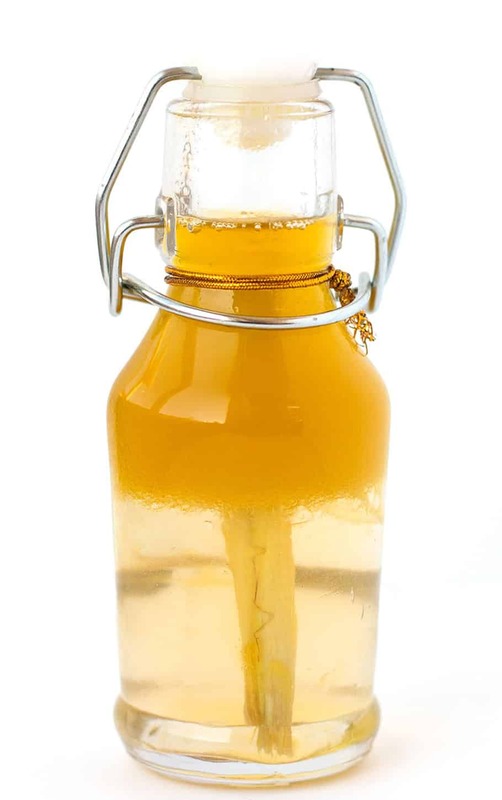 Pour the coconut oil into dropper bottle. Then add olive oil and the rest of the ingredients listed above. Close the bottle and shake well. Keep the lid close until you're ready to use. 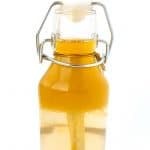 This facial oil moisturizer recipe is perfect for almost any skin type. Note: Lemongrass oil often use on various skincare and cosmetic products. It works great as a freshener, cleaning, calming. Choose a medium-to-large sized container. Use a 2 to 1 ratio with twice as much sugar as oil. Combine the oil and a cup of sugar in a bowl, mix well. Add the essential oils, vitamin E, vanilla extract and honey. 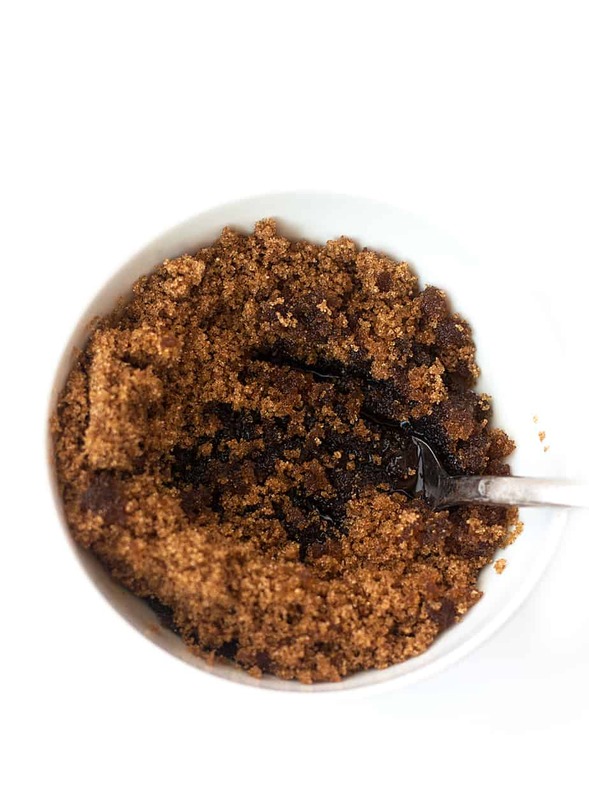 Add the remaining sugar until the desired consistency is reached. Place the scrub into the container and keep in fridge. Give it a quick stir before use. When applying, massage it gently onto the skin. Use caution as the oils can make shower and bath surfaces slippery. 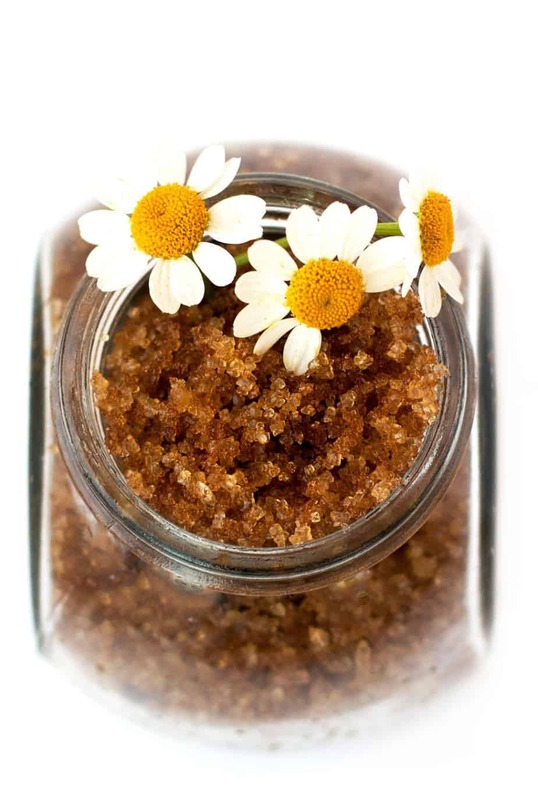 This is the perfect sugar scrub recipe to exfoliate, while leaving your skin soft after each treatment. It is both hydrating and nourishing. My skin feels soft after just one use! 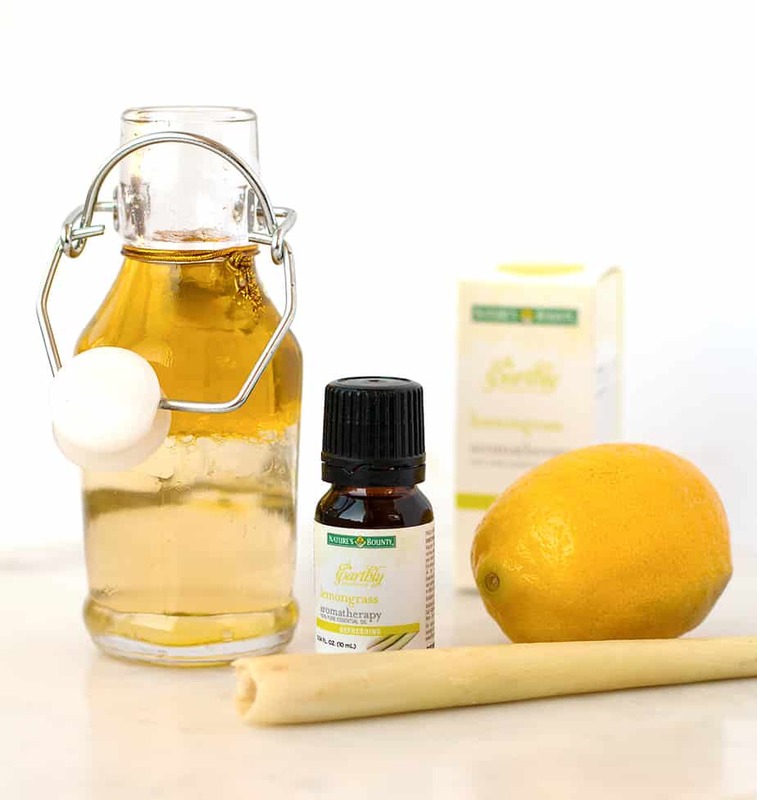 The citrus oil will help brighten and tone the skin. I bet that smells awesome. I can’t wait to try this. A face scrub sounds divine to me. I love using natural ingredients on my skin. I’ve tried homemade scrubs before but I’ve never tried making my own moisturizer. I think it’s great because you can use the ingredients that you like and you don’t have to worry about chemicals at all. I value scent too and I make sure the products that I use on my skin have a lovely scent. Looks so wonderful! I will try this great face scrub, my skin needs it! I love a good facial and body scrub. I’m going to have to check out NATURE’S BOUNTY® EARTHLY ELEMENTS™ and see which products are right for me. I’d also like to try your cleanser recipe. Oh these sound really nice. I bet I’d love those oil combos. The scents alone would be super relaxing. Oh my! I bet that smells heavenly. I love anything that has lemon. It makes me feel happy. I love trying different scrub recipes. I will have to get the ingredients I need to make some this weekend. 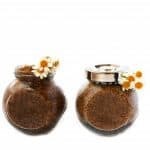 I am a fan of natural skincare but have found many scrubs to irritate my skin. I will have to try your hacks out! I have seriously wanted to give making my own scrubs a try. These look awesome and I will definitely be giving them a try. I love scrubs. I make a great body scrub but never tried a facial one. Will sure give this one a try. I would so try this! DIY facial scrubs are my fave! I bet is smells fantastic too! Ah, lovely. I’ve been wanting to get away from my usual fragrance items and this just soothes my senses even from just imagining how good it is to have lemongrass and citrus all over the air. My skin would really benefit from this one.